After the night has passed, it turns to dawn. And with the rising of the sun, The City of Amnoon [TCA] came to life. TCA is a semi-community guild, which aims to create a lively RP community within the city and beyond in the reaches of Elona. Building great content for it's membership and inviting the entirety of EU RP to it's Community Events in it's friendly, supportive environment. This guild focuses on its core and the wider community alike, while having fun and keeping a supportive environment. TCA has an Enjin Site as well as an optional Discord. The TCA members have their own Sub-Guilds within their ranks, called Factions. These groups operate within the framework and with support of the community to both collaborate and fight one another! The Cavaliers, honorable protectors of Amnoon. Seeking to enforce the law and keep the citizens safe from all the threats out there, including the infamous Hamaseen Syndicate; which's intrigue, shady dealings and brutal actions in the dark threaten to corrupt the Free City to the core. The Priory, discovering the secrets and threading on the vast history of the desert; uncovering stories untold and solving mysteries whilst another order of the Pact ever so quietly watches from the shadows of it's sister. With plenty storyline narratives build to affect the whole of TCA, which echo though it's history and bring consequence to it's future stories, it's not everything just yet. Mch more can be found in these inhospitable dunes. As fortune would have it, all with the popular Cafe Mustafa to come have a drink in when one but wishes to be casual, unless you'd enjoy tending the bar to bring entertainment yourself? Everyone can make their own story, and so many more secrets rest hidden from the public eye.. There are likewise IC services, IC companies and more. With such diversity within the guild, and with each member bringing something to the table, there is so much you can do in TCA! We do like creativity within the lore boundaries, and we are more than happy to include and help, so new people are always welcome! The Priory - The Scholars! With most, you can cooperate with or take part in the events, withnout being directly part of the guild! However to join the initiatives as a member, you have to join TCA! These are the regular services and businesses in TCA that one can have deals with! If you want to make a stall, see the Grand Bazaar post! Our Staff Team is solely a OOC position and provides no IC power. In the pursuit of creating a good enviroment and a respectable community, our rules need to be accurate for such aim, and the punishments strict enough. You can find our shortened version of Guild Rules below. While applying, it is recommended to read the Full elaboration of the Guild Rules on the New Member forums of TCA. The whole of the Rules have been reviewed and subjected to Feedback by the standing membership of TCA, and we believe that these guidelines are more than acceptable for anyone wishing to happily engage in roleplay without the need to stand drama, and to enjoy their free time activity to the fullest. - Age You must be at least 18 years old to join the guild's Enjin, IG guild or Discord. You are likewise oblidged to act like a mature person; owning up to your mistakes and ensuring to follow the rules and guidelines. - Respect The members of the guild should always be respectful to one another, as-well as to members of other guilds. Whilst it's understood that we are all human and mishaps can happen, or sometimes, one can go overboard in their speech, never forget this golden rule. Regadless of the situation or your emotional state, remain respectful to others. Do not force your views, ideals, beliefs or negativity onto others. The guild is not a place to vent where it is not explicitly stated it's an area for it. TCA does not tolerate harrasment or backtalking of other members of the community nor guilds, and is to be kept a friendly and supportive community. - No trolling or hotbutton topics Subjects such as religion, politics or war can be quite hotbutton. They should be kept to private channels and off the public part of the guild. If you feel a discussion is turning into an argument, please do step away from it and don't add to it. If such cannot be done, contact the Management Team as soon as possible. - RP etiquette No god modding, metagaming, IC/OOC or other violations of proper RP etiquette. 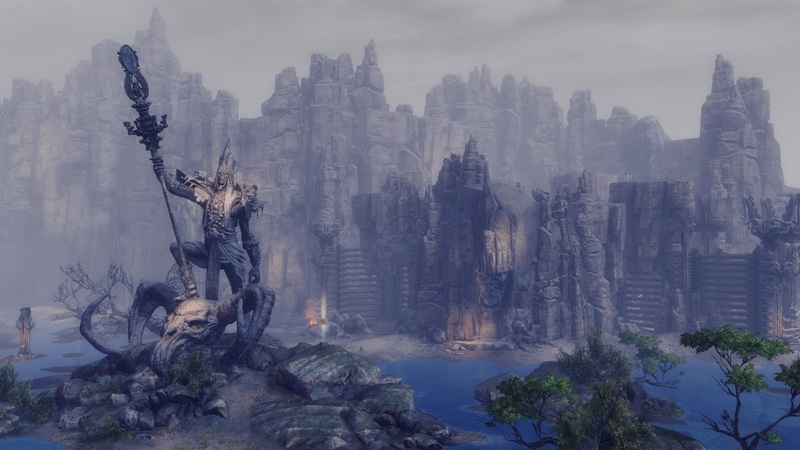 - Abide by ingame lore There is always wiggle room, but the please do ensure you are using official sources and are not using information that hasn't been officiated in any way. 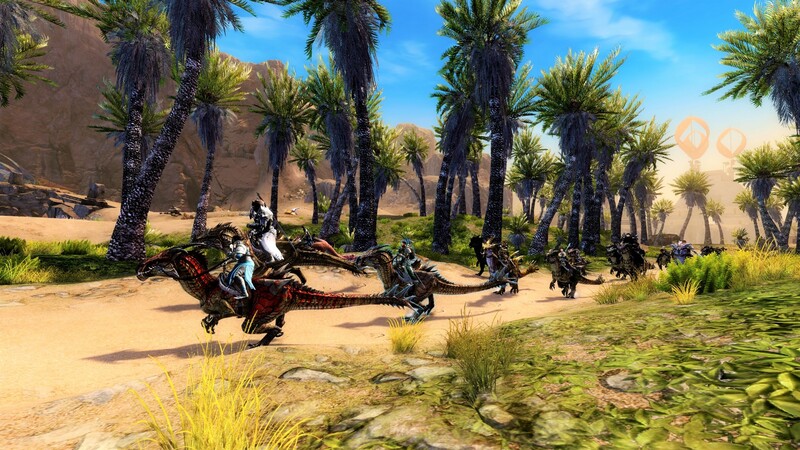 The accepted Mounts in TCA are Raptor, Skimmer and Springer; with specific skins accepted as per our Guidelines. Rest is considered too hard to acquire by most characters at this time. - Posting and Writing Please try to use proper spelling, grammar, and punctuation. We all make mistakes and no one is expected to write perfectly, but please don't make posts in all lowercase with no punctuation. Endeavor to keep posts to the right threads and correct categories. - Identification On join, your name on the Enjin and Discord is to be changed to your main character's name (or the one you use the most around TCA- on Discord, it is either Character Name, or FULL account name), and your signature to contain your IG Account Name. We require the members to keep that change on both platforms. What are we looking for in our members? 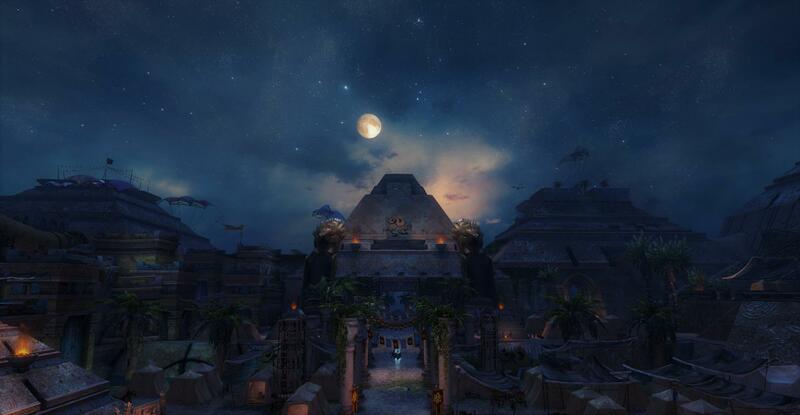 We seek people who will actively take part in our events, keep Amnoon alive, and encourage them (but not require) to join the Factions of TCA (Link). Aside but taking part, we heavily endorse people making their own events and supporting the community itself by representing while around it, and by being mature enough to not break the guild rules and staying respectful. You may find out more in the spoiler below! - Guild Leader The Guild Leader's responsible for effective appointment of senior membership and delegation of tasks and responsibilities. They manage the Management/Staff teams and their meetings, set the directive of the guild and are to network and build connections with the wider community; including settling applications with the Management, and assisting in promotion of events within and beyond TCA. All while showing their best face to the guild. Where an agreement cannot be found within the Management, the Staff or the wider part of the guild, the Guild Leader can make an executive decision to ensure the general welfare, upkeep and progress of the guild. - Management Team Showing their best face to the guild, The Management operates and adjusts the system of the guild, seeing to the Applications together with the Guild Leader and helping Moderators/Narrative Team/Faction Heads with their duties. Assistant role within this system exists as a singular instance of a management member whom deals with the background matters, and not directly with the duties of other teams. The Management cooperates fully amongst one another to guide and support Staff: promoting cooperation, communication and to ensure the guild itself remains healthy for both them, and it's members. - Mediator/Mod Team They moderate the discord and guild chats, actively enforcing rules and resolving drama via Isolation > Discussion > Resolution. Isolating the issue out of the guild chat if possible to private, telling the members to discuss the matter amongst one another or helping mediate it, and finally find a resolution to upkeep the good environment in TCA; collecting screenshots as evidence and posting it into the respective hidden channel. Mediators cooperate fully with the Management and ensure to keep their dealings discreet. - Member It is the members who are the very lifeblood of the guild and make the effort all worth it. They should be dedicated and passionate about not just the guild and represent it, but role-play in general. They are responsible for keeping Amnoon alive, present a warm and welcoming community to any outsiders and support each other in personal pursuits. - Contacts Members in the guild solely to read what is on the forums, for taxi service and for cross-guild collaborations.They cannot vote on Polls, don't have much sway, and are not considered full on members of the guild, but should follow the guild rules, respect it's members and each other, and just like everyone else; promote a healthy, supportive community. ..To build together, and to have a lot of fun! With a stable addition of new players and events done by the current initiatives and DMs alike, TCA is having quite the great start! Our Grand Bazaar this saturday was quite the successful and grand hit! Never hesitate to come by to our Community/Narrative Events, or even join [TCA] via Application! Considering discussions with the GM's, Officers and a poll posted on GW2RP forums, we have decided to have the Living Season episode be active until a few days prior to the release of the next one. As such, we have planned a series of events so that we can all enjoy the living season war in IC. Rest, build up for the training. Gathering people and training for Kourna. Word spreads of the war and groups get rallied and trained for war. 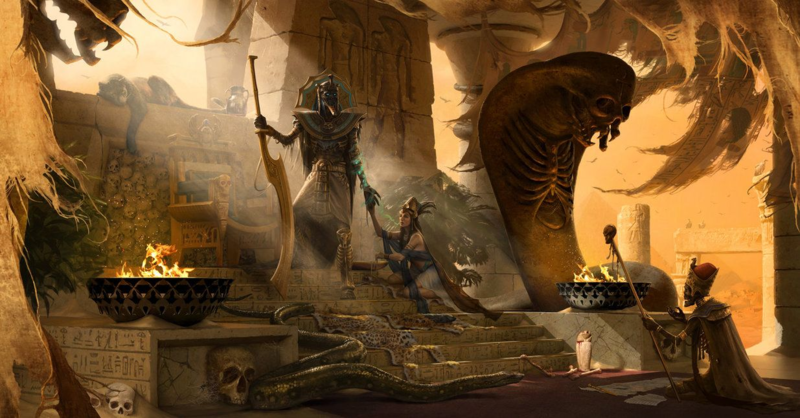 Travel to the Primeval Tomb. Set up camp through the rift, assignments handed out. The bulk of the war. Some down time in between, injured will be taken to Amnoon, our assignments will be done there. Missions wrap up, TCA's role in the war will come to an end, people will go back to Amnoon (spare those that wish to commit and stay). I wont sugarcoat this. This is a war. If people do not act in a way that someone would under a chain of command during open warfare, we will be sending them back to Amnoon.As DM's we have an obligation to make sure that everyone has fun and feels involved, but at the same time, we are humans as well, and if someone is being disruptive, acts in a way that would not be tolerated in such situations be it ic or ooc, we will have to remove them from the narrative. To make sure we all have fun we have put a lot of thought into ways to cater to all the different RP approaches and levels of interest we might get for this and as such we have decided to create three groups. Tier 1: For the casual roleplayers, those that want to take part in the narrative, but dont want to be full on soldier mode. This will be a tier with safer events, that wont put the players in situations that they might get injured, stressed or ordered around as much. Because we work in different tiers, we'd like you to keep this in mind as well. This simply means that if you want to be lower tier, get a character that fits the lower tier if possible. This way it will be most fun IC and OOC. How do I join? & Rules! 1) You MUST be a member of TCA. Click here to join us today! 2) If you create drama, we reserve the right to reject you from the Narrative. To provide a route of fairness, this applies to both Admins and Members. We want this Narrative to run smoothly, so this is just a warning. 3) Commit. This is open war. If your character joins up through the rift to Kourna, there is -no- going back. Anyone seen rping with a character they have in Kourna anywhere else BUT in Kourna they will be removed from the narrative. Contact Diraen.6597 and check the thread on our Enjin Forums! And of course-..
Click here to join the Narrative and TCA! IMPORTANT: TCA community would like to request visitors and any participants in it's events or casual roleplay to keep from giving Living Story spoilers to our members and using them in RP with us for the next 7 days (until next tuesday) to let people play through the LS in peace and to enjoy the game to the fullest! We are otherwise still very much brimming and recruiting through our application; happily accepting new members to our active community! Thank you for your understanding, and happy roleplay! Modus Sceleris is a pre-established guild of criminal duellists within the lore of GW2, and though they seem to mostly be based in two locations so far - Ascalon and the Shiverpeaks, their members extend to more than just the five playable races - they also count trolls, hylek, grawl, and even a quaggan amongst their ranks. Now, admittedly, there isn’t a great deal of information available about them, which of course, allows us some creative leeway as to how they might function in new territory - or at least, how a new branch of the guild, dispatched to and based far away in Elona, might conduct their business - with a degree of autonomy, which we can easily employ and bring to life through a new dynamic style of RP. Modus Sceleris itself translates to ‘Way of Crime', which is fitting - as its members are known to ambush travellers and explorers and challenge them to duels, or in some cases, larger tournaments, to wager and claim coin and other such valuables from their victims. Profit and pride seem to be the primary goals for Modus Sceleris, and that is what we, too, will focus on. Soon enough, this splinter faction of the guild of criminal duellists will make landfall in Elona, and will prowl the sandy dunes of the Crystal Oasis, preying on travellers, traders, adventurers - anyone that might just wander into the wrong place at the wrong time. While they are criminals, and are known to employ some ambush tactics, all duels must be agreed upon - IC in most cases, but especially OOC. Again - these duellists are criminals, and might not fight fair, and won't be afraid to cause a serious injury if given the opportunity. Therefore, a duel must be agreed upon by both combatants OOCly. We have launched our next Living World Narrative, this time following the War of Kourna! Look at the main recruitment post of TCA to learn more! With the TCA's 'Conflict of Kourna' Narrative ending, a next one is in works! This is a post for a future Narrative of TCA which will take place Early September! Click here to join TCA today! Even if Joko is now considered pacified, it's not the end. Some loyalists, awakened and others are yet present within the desert and pose a definite threat. We need to protect our citizens, protect our allies, and take our lands back in full. How will we achieve such? We will travel to the Riverlands; secure the trade routes on our way to the Bone Wall, aid the people, fortify positions, take fight to these vile creatures... and succeed. For the Free City! For Elona! "Prologue." On 6-8th, specific day will be added when the date approaches. Moving over to the Camps from Amnoon, securing the area. Travelling to the Exiled village, learning about the sorroundings and helping people around the village. "Rest week." Coming over to the skimmer ranch, giving the option for people to buy/rent a skimmer there (IG it's 4G to buy). Doing various small tasks around the area. Bone wall approach, securing the area and fighting the main threats. "Epilogue." Optional stay/exploration, returning back to Amnooon. OPTIONAL: During the narrative, contact a DM of it listed at the bottom of this post to run your own event. Examples of possible things to do are scouting/exploration within the current Riverlands area used, or perhaps taking on bounties ICly. Let the DM know the result of your event so we can add it to the RP dynamic! Some have been already thrown into the Narrative calendar. 3) Be an adult. Realize further that this is a dangerous mission, being reckless bears bad consequence. 4) Don't advertise other guilds oocly though our narrative. 5) The permitted mounts are Raptor, Skimmer and Springler. None other. No jackals, no beetles, nothing. IMPORTANT NOTE: If you create drama or don't follow the rules, we reserve the right to reject/remove you from the Narrative. To provide a route of fairness, this applies to TCA membership, Staff, and outsiders alike. We want this Narrative to run smoothly, so this is just a warning. 1) Join TCA (Link), be part of TCA. If interested as a Guild which isn't part of TCA, contact the Guild Leader (Krinstin.6287) for possible collaboration! 2) If already a member of TCA/joined, fill in the template within the TCA thread on it's forums. (Skip if you aren't in TCA and talked with the GL.) You can join during the narrative too, and it's not full-on commitment based: it will be possible to travel back and forth within the reasonable time it would take to travel from the main camp. 3) Show up on events and keep yourself informed. We post events both on our Calendar (not the spontaneous ones) and #event-promotion (the latter accessible to TCA members). 1) You'll either rp with us or we fade you being recruited in. 2) Come to the departure point at the right date/time. (6th-8th specific date will be added.) + You don't have to come to that if IRL won't permit you, but it's nice for the introduction of the narrative. 3) Listen to the IC authority (read: questgivers/figures) whom will be primarily Thurston and Lieutenant Imran Al Zaheer of the Cavaliers. Be proactive within these bounds. 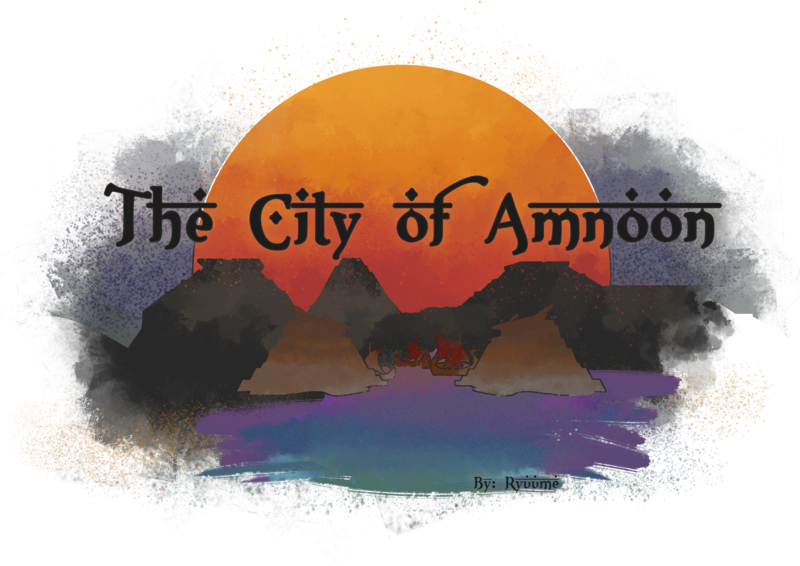 With grand success, The City of Amnoon's Riverlands Narrative has came to an end! 5 weeks of fun roleplay of all sorts of genres, new relations, character developments and far more! Thanks to everyone that took part in the Narrative, especially the ones with the initiaitive to build their own events and stories within the story! Likewise so our guests, the Gendarran Free Company, which joined us for the adventure! Is this it? Is peace and harmony finally upon us within the Free City? Whilst the brave cavaliers, mercenaries and volunteeers fought out there to protect the Free people, the Crime has slowly grown within the City of Amnoon. Will the people join the shady business, will they prey on the system and innocents, will they swindle, smuggle, ravage and destroy alongside the Hamaseen and Modus Sceleris, or will they join up with the remaining Cavaliers, other forces of Law, and try to restore order within the city? It's in their, and perhaps even your hands. If you dare take part. Sandstorms burying the homes of civilians. Refugees fleeing the chaos of a tyrant. Creatures of fire and steel attacking these refugees as they seek salvation. The ravages of the Crystal Dragon threatening all life within the walls of the great city of Amnoon. The campaigns against the Desert king. Countless dead cavaliers, natives and outlanders alike. Natural disasters clawing away at the city’s already struggling population. 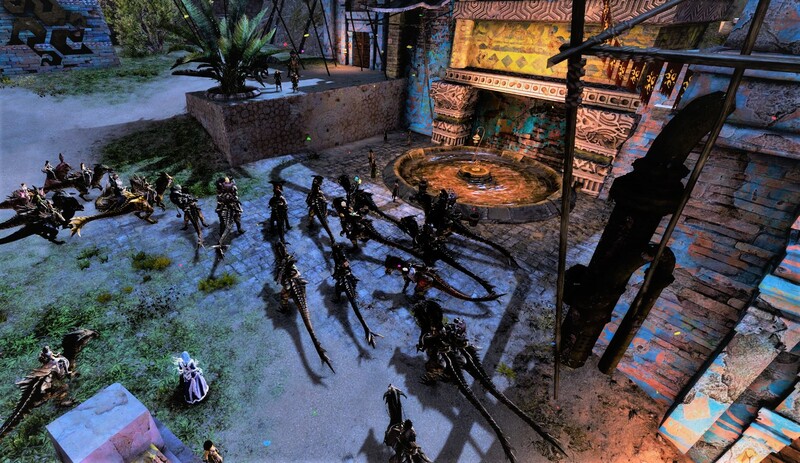 And to top it off, strange happenings have been going on in and around the city for a while now..
For too long, the people of Amnoon, both natives and outlanders, have had little to truly celebrate. But with the dawn of a new year come new opportunities - and the warmest, most heartfelt of wishes for a year without strife and turmoil. 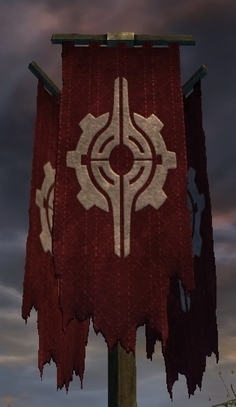 In honour of this, and in an attempt to intertwine the tapestries of two of Tyria’s richest, oldest cultures, a kindly priest of Kormir’s clergy visiting from the mainland has offered to help the Council of Amnoon organise a city-wide festival in the ancient style of the Canthan Harvest Ceremonies. The council hope the festival will provide the people of Amnoon with a bountiful harvest in the coming year, unite the people of Elona, and lift their spirits and sights to a year of peace, tranquility and regrowth. But of course.. nothing ever really goes to plan, now, does it? This narrative story will see new alliances forged, old alliances strengthened, and of course, new enemies made as a brand-new threat emerges from the shadowed, forgotten annals of history, which not only endangers all life within Elona - and perhaps beyond - but also threatens to rewrite the laws of life and death itself..
2) The word of the narrative DMs is final, end of discussion. The list of the DMs of the narrative arc will be added at later intervals so as to prevent spoilers. 3) As a narrative story arc, it’s not going to be all sunshine, roses and picnics - this is a dangerous story, and a great threat will become apparent quite quickly in the narrative. Characters may be faced with intense situations with severe outcomes. A DM will never inflict a fatal or grievous blow to your character without your express permission - you are free to respond to those however you wish.. Although it's encouraged to take a hit sometimes, you know? 4) Do not advertise other guilds, organisations etc OOCly in our narrative. This is a basic guild rule. 6) Keep yourself informed via our Enjin Event Calendar (LINK), and additionally via our #event-promotion and #rumour-mill channels in our official guild Discord server. We are not responsible for people missing out on events when they are posted on both at least an evening in advance. An exception to this applies only to the spontaneous ones which any participants can make (albeit with a DM's blessing). IMPORTANT NOTE: If you create pointless, unnecessary drama or don't abide by the rules, we reserve the right to reject/remove you from the narrative. In the interests of fairness, this applies to both TCA members, staff, and any outsiders alike. We want this narrative to run smoothly, so this is just an advance warning. Join TCA to enjoy this adventure and many more! Past applying and hopefully being accepted, getting involved in the narrative is easy - and so long as your character is in the vicinity of the Crystal Oasis, you’ll be able to join in whenever you want - though of course, we recommend being there from the start! The narrative will formally kick off from one major event: The Harvest Festival, as previously mentioned. Attendance for this event is completely open, and will coincide with February’s monthly Grand Bazaar event. Don’t worry if you miss this event, though - as there will be a constant stream of events throughout the Crystal Oasis during the narrative’s runtime, and new, dynamic social hubs cropping up as the story advances, there will be endless possibilities for you to join in at whenever’s convenient for you! Do read the official full post on the TCA enjin page! Otherwise, the primary contacts for this narrative story arc are the story creator/main DM (Inverse.5817) and the guild leader, Ciphetrix (Krinstin.6287). Please get in touch if you’ve any queries specifically relating to the narrative.